The world is embracing advanced technologies in almost every field. The world of home interior design is not an exception. Whenever you need a perfect idea for improving your home, a new colour idea or even getting that chair that you covet the most, you only need to swipe your Smartphone and there you go. 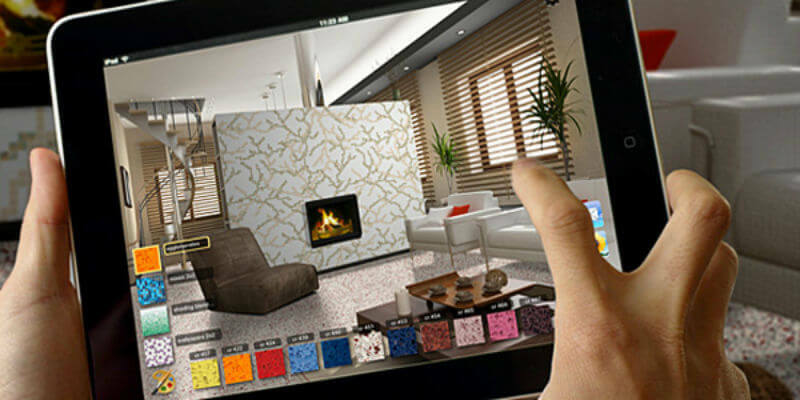 From shopping to the actual process of designing your home, there are amazing virtual home interior design apps that make your work easier. Today App developers have formulated a very exciting way to make your work easier. 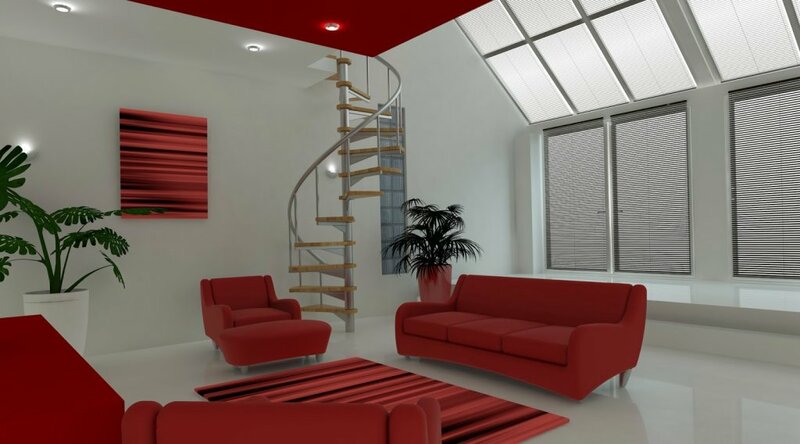 You will realize that a home interior design app comes with a highly interactive interface. Therefore, it is easy to use and comprehend every detail. You only need to define your needs to get ideas that will help you design a home that is truly elegant. Need to Fit Plantation Shutters in London? What’s more, even if you do not have an idea of where to get started, the Apps will help you to visualize on how exactly your home will look like. Isn’t it amazing that you can go an extra mile to design a home of choice on the Apps? This piece takes a look at some of the best Apps you can explore for your home design. Houzz App is one of the most exciting interior design apps available in the market today. This is an advanced app that offers a wide range of home decoration ideas. Whether you need something for your living room or bedroom, this is an app that will never disappoint. The home interior design app is advanced and it allows you to access a wide range of ideas for your home. There are millions of quality photos that will match your exact needs. What’s even more impressive is that the photos are professionally uploaded to make it easier for you to edit, save and share with your friends and family. On the app, you will also find high-quality home decor features and even real furniture ideas. Whether you love contemporary designs or you want a more stylish feature in your home, the app offers the exact ideas you are looking for. With the app, you can have a clear picture of how your home will look like. MyPantone is equally an impressive app that offers excellent colour ideas for your home. Whether you are a professional interior designer or you simply love decorating your home, this app is tailored for you. The App is easy to use and you only need to take a photo of an area you want to improve, zoom in and click on the exact area. The app will automatically convert the colour therein and suggest the most ideal Pantone colours that will enhance your home. The MagicPlan is a home design app that lets you use the exact home measurements to decorate your house. If you are redecorating or renovating, this app is handy even though it needs a few tries to perfect its usage. The app comes with highly intuitive designs and clear instructions to help you understand how to decorate your home. With the app, you can personalize every aspect of your home. 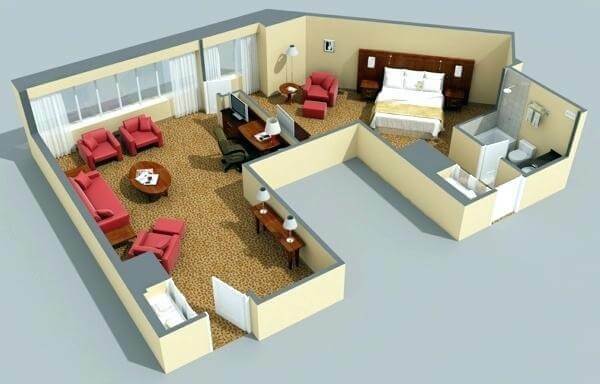 Do you want a 3D plan in your floor arrangement? The Home design 3D plan is the way to go. It is laden with features to help you enhance every detail in your home. This can be enhancing your furniture to other home decoration features in your space. It is an interior design visualizer that allows you to envision ideas that blend well. What’s more, it has quality and unique items you can choose from. You can always edit the pictures therein and envisage the exact touch of decor you will have in your home. If you are working on furniture improvement, you can easily have a picture of the item and even try to fit it in your living space. BrightNest helps you to keep your home beautiful and neat. It allows you to add a touch of class and create a more personalized effect in your house. The app comes with task reminders and easy how-to instructions. The app also allows you to explore different cleaning, repairing, decoration and organizing ideas that help you to transform your house. Therefore, if you feel your house is messy and you need to organize everything to create a haven of comfort, this is the app for you. The app works as your personal assistant and it offers easy hacks to help you make your home one of a kind. You will have amazing DIY ideas to transform your home. Chairish draws the greatest interior design inspiration if you love vintage pieces in your home. It offers ideas to help you complete the look in your home. The app is also a marketplace where you can access a wide range of vintage pieces for your space. It allows you to explore, save, send messages and purchase the products that interest you. What’s more, it is an app that comes with a highly interactive interface, therefore, easy to use. The Hutch is a free IOS interior design app that is ideal for virtual home decor. If you are always wondering which colour will pull the look in your home, this app is tailor-made for you. Whether you want a couch to complete the look in your room, or you simply want a wall colour that will augment the theme of your home, the Hutch should be your best friend. With the App, you can take pictures of your space and redecorate it with art pieces, furniture, and other decor items. The App will offer the best ideas that will help you to instantly improve your home. 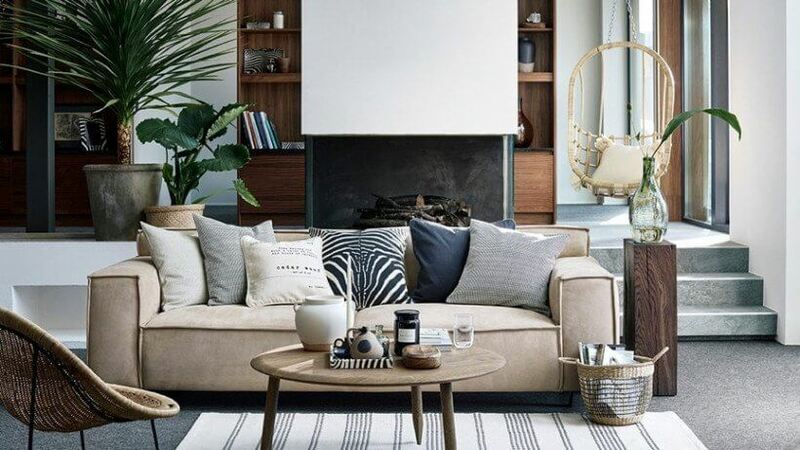 Remember, you can purchase home decor pieces that interest you on the app. If you love painting and art, this is a Dulux design app that allows you to access amazing pieces. It offers a wide range of artwork designs and colour options that you can explore. Whether you are an independent artist or a professional who wants to improve service delivery to clients, you can always explore ideas on Curate. With the app, you can also virtually access different paints, scale them on your wall and purchase the most exciting for your home. If you are an independent home decor kind of a person, this is the app that will match your needs. It offers excellent decor ideas including handmade bespoke accessories. The app is your ideal shopping destination and you will always get more personalized ideas to transform the look in your home. With a few taps, you can be the owner of high-quality interior decor treasures. Are you a builder? This is an app that offers endless ideas on construction and decoration tools for your interior design. In the app, you will access exactly what you need, purchase various items and even check on the status of your request. If you love to work on a wish list, Build.com will help you realize your goals. There are also professional project and interior design advisors that offer consultation services on the app. This makes your home construction, redecoration, and improvement task easier. The Colour Capture app is for the colour lovers. It is with no doubt that the right colours in your home create a warm, beautiful and welcoming environment. 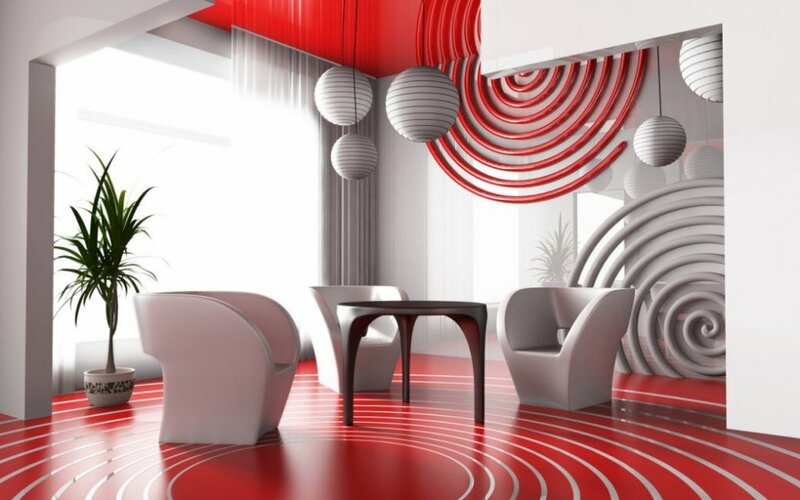 If you do not blend the right colours, then your home can appear boring. Today, you do not have to get lost wondering which colours to use in different rooms. The Colour Capture app offers great ideas to help you coordinate different shades. You can always pick, save and experiment on a later date. The app is your starting point as you decorate or redecorate your home. However, you need to understand that the colours displayed on the app are relatively darker. Therefore, you can always seek brighter shades based on the kind of look you want in your space. You will agree that shopping for interior design products can be quite stressful. It is even worse when you do not know where to get quality products for your home. While interior design shopping apps come in handy, the Home Depot app is one of the most reliable apps to use. It has gone an extra mile to make your shopping experience more rewarding. Whether you are shopping for the first time or you are a seasoned client, the app caters for your needs. The interior app comes with an inbuilt GPS that allows you to keep track of the specific items you have purchased. The app is available on Android and IOS. The Artfully Walls Try on Wall is an app that helps you to enhance your walls. Your wall gallery can determine the beauty of your interior space. The app, therefore, offers ideas on how to organize your gallery for that exciting look. You can take a picture of the kind of wall backdrop you want and the app will offer the best ideas for you. With these apps, decorating your home should no longer be a daunting task. Get the best app and hire the services of Lifestyle Window Shutters in London to jumpstart your next interior design decor project for your home. We are one of the leading providers and fitters for bay window shutters.